Practical Strategies and Recipes For Business Owners & Entrepreneurs. 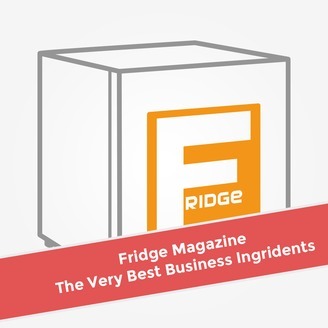 On this week’s FridgeCast we have a business systems rockstar Dave Jenyns (@davidjenyns). David’s entrepreneurial journey begins back in his early 20’s when he sold Australia’s most love sporting ground, the Melbourne Cricket Ground. Since then, his business experience spans from developing and branching retail stores to founding one of Australia’s most trusted digital agencies, Melbourne SEO & Video. Dave’s book Authority Content is an Amazon bestseller, and he is a lover of processes and procedures and the founder of systemHUB. Recognised as a high achieving entrepreneur, you will find many of David’s keynote presentations on YouTube including: TEDx, WordCamp and Problogger. Dave is also the host of the Business Systems Summit, the world’s no1 summit for business processes where leading business owners share swipe & deploy processes you can implement in your business today. This is one of the more insightful & special podcasts I have ever recorded so I hope you enjoy this interesting and insightful podcast with Dave! Podbean – Looking for somewhere to host your podcast? Here at Fridge, we use Podbean and I would recommend it to anyone. We started for just $3 a month then went onto the audio Unlimited Plan. We host the entire back catalog of podcasts from across the Fridge network with them and I personally recommend them to anyone who currently has or is thinking of starting an audio or video podcast. And just by using the exclusive Fridge link you will receive 1 month free to Podbean 100% free, at no cost to you, and no need to enter your credit card or any of that junk. So if you want to give them a go, just click the link: http://www.fridgemagazine.com/yes/podbean/ and it’s all yours for free. Moving video where day talks through Day 1 and the real Day 1 of his entrepreneurial journey. The System for Creating Systems. Learn more & register for the Business Systems Summit. Thank you for listening. I look forward to catching you on another episode of FridgeCast. 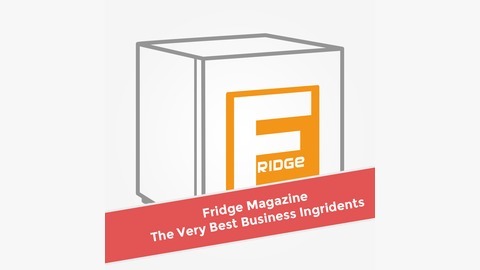 The post Dave Jenyns – How To Easily Systematize & Grow Your Business appeared first on Fridge Magazine.